K, so this stuff is addicting!! You take one bite, and think, “Oh, this is pretty good.” Then before you know it, you’re feeling like you need to go back for another bite, and another, and another. Ugh, it so good! It’s like those cinnamon sugar roasted pecans you get at the fair, except a million times better. The only thing I would say to do different is, the recipe says to coarsely chopped the pecans but I think it would have turned out better if the pecans were chopped up a little finer. That way the phyllo dough lays better and you don’t have such large chunks of pecans. Don’t chop then up super fine, but just into small pieces. Other then that this dessert was awesome and so befitting of Fall. And honestly, this is easier to make then you think. The phyllo dough is a little temperamental if you let it dry out, but keep it moist and it isn’t hard. 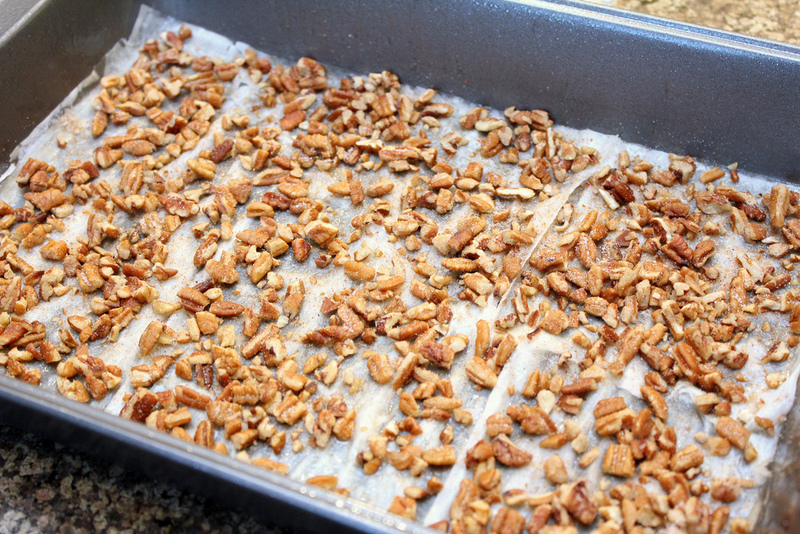 You just layer the dough, brush with butter, and add your pecan mix, then repeat. A definite must try recipe!! Enjoy! Baklava: Preheat the oven to 350 degrees. Butter a 9-inch square baking pan. Fit one pastry sheet in the pan and brush with butter. Fit another sheet on top and brush with butter. 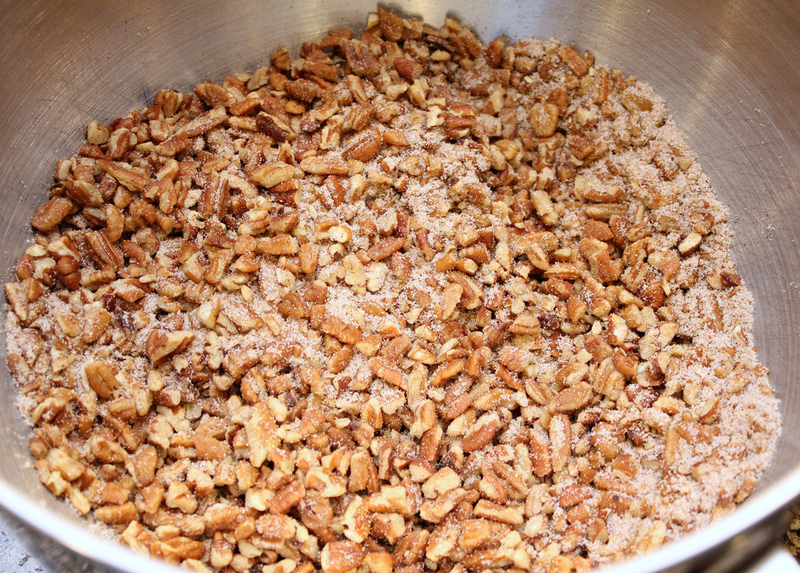 Sprinkle with a little pecan mixture. Top with another pastry sheet and brush with butter. Repeat until all the filling and pastry are in the pan, finishing with a layer of phyllo brushed with butter. Chill in the refrigerator for 30 minutes. Cut the pastry into diamond shapes about 2 inches in length. Be sure to cut through all the layers to the bottom of the pan. Drizzle with the remaining butter. Bake for about 45 minutes, or until golden brown. Syrup: Bring the sugar, water, and lemon juice to a boil in a saucepan over medium heat. Simmer for 20 minutes. Drizzle the syrup over the hot baklava just after removing it from the oven. Cool the cake completely in the pan on a rack.